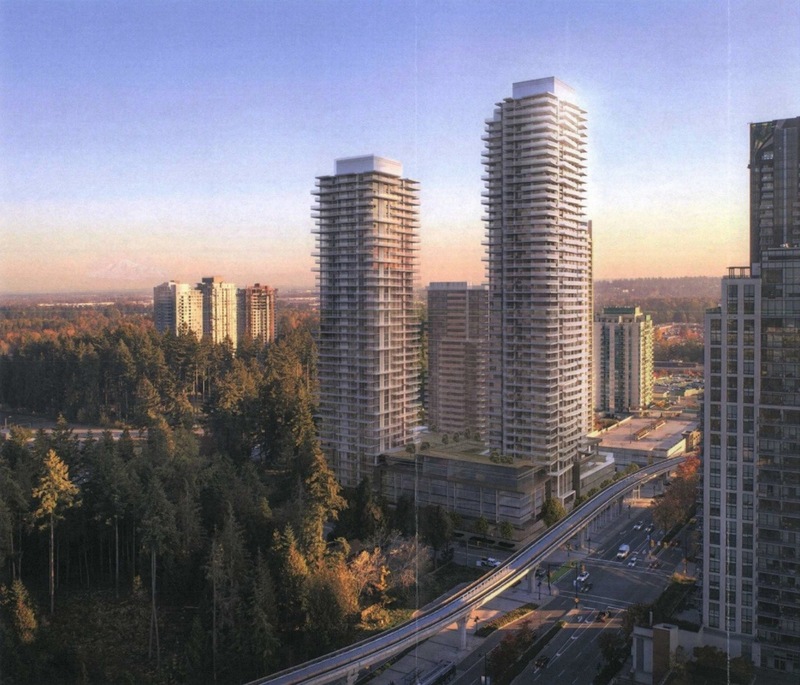 Another large transit-oriented development has been proposed for a site near SkyTrain in Coquitlam. 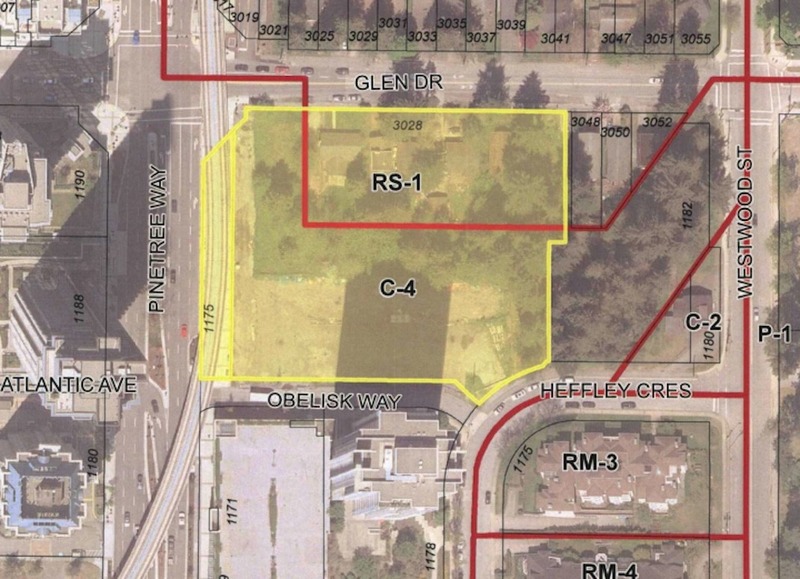 Onni Group has submitted a rezoning and development application to the City of Coquitlam to redevelop a 2.7-acre vacant site at 1175 Pinetree Way — the southeast corner of the intersection of Pinetree Way and Glen Drive, just one block north of Lincoln Station. 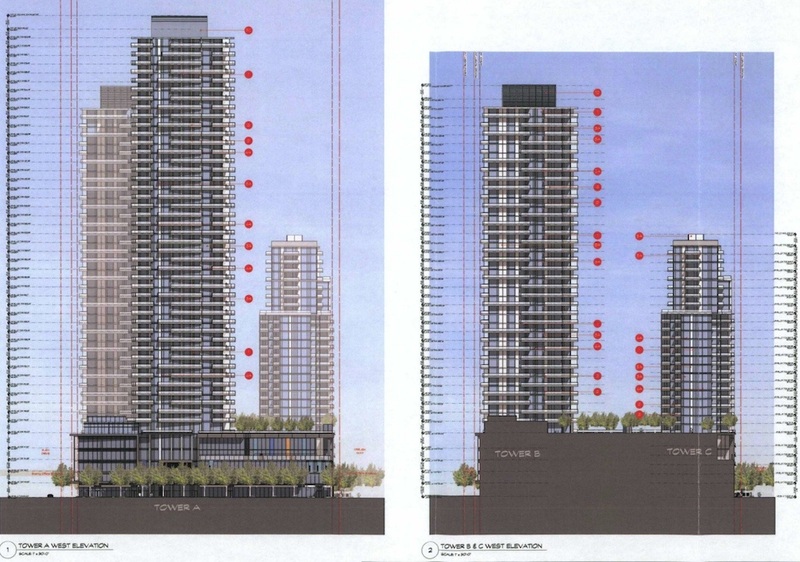 The application designed by Ciccozzi Architecture calls for a mixed-use redevelopment with three towers — 49 storeys (514 ft), 45 storeys (472 ft), and 25 storeys (258 ft). 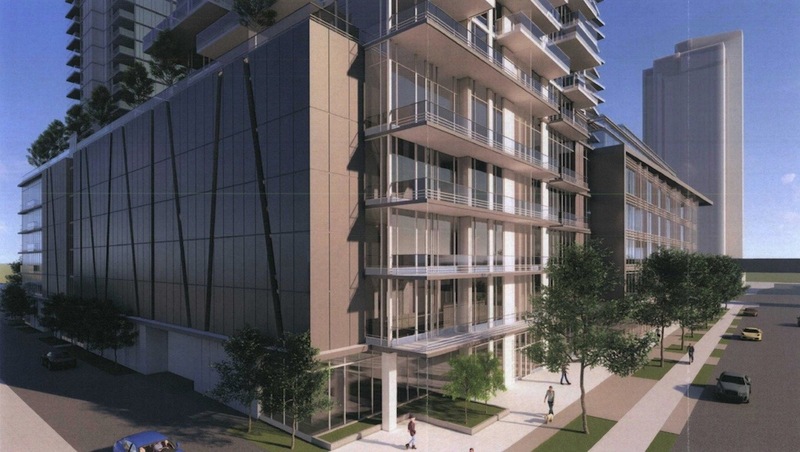 There will also be podium structures reaching five and six storeys in height. 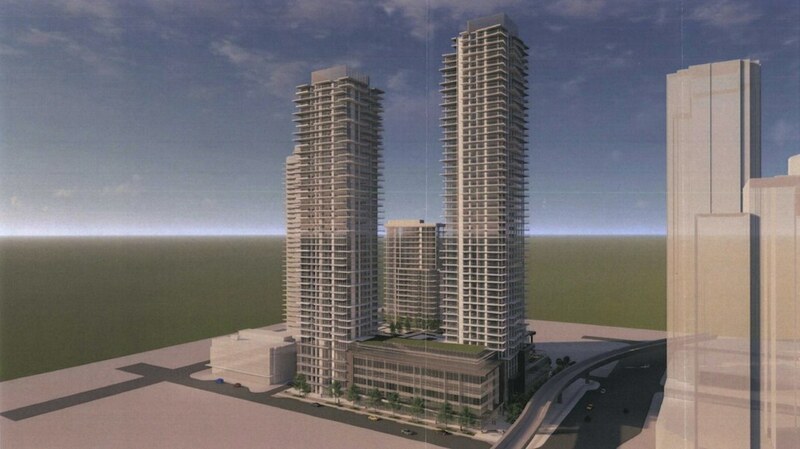 A total of 891 homes are proposed, including 705 market condominium units and 186 purpose-built rental units, which makes this the largest rental housing project in the municipality. 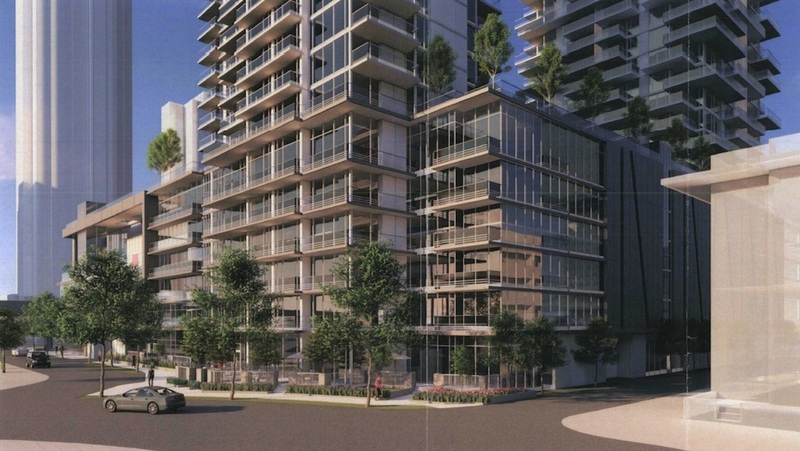 These market rental units are made possible by the city’s 2015-approved Housing Affordability Strategy. 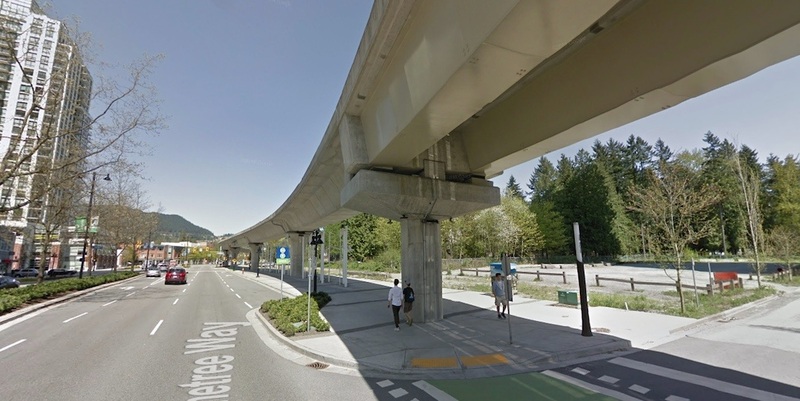 City data indicates just three purpose-built market rental housing projects, a total of 136 units, were built since 2000, and nearly three-quarters of Coquitlam’s entire purpose-built market rental housing stock was completed before the 1980s. 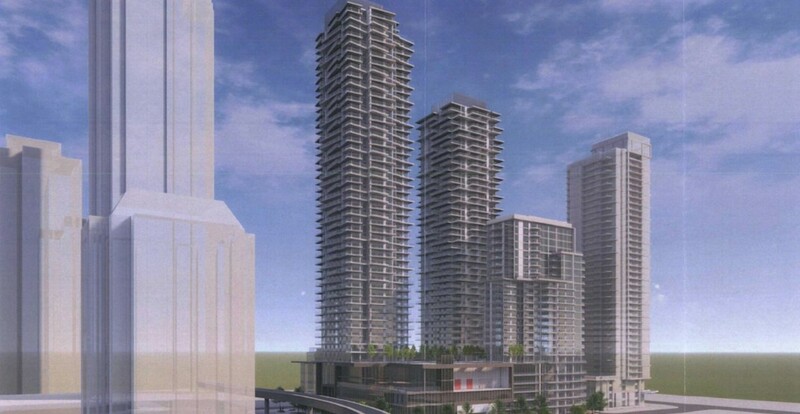 All of the project’s proposed rental units will be contained within the shortest of the three towers. 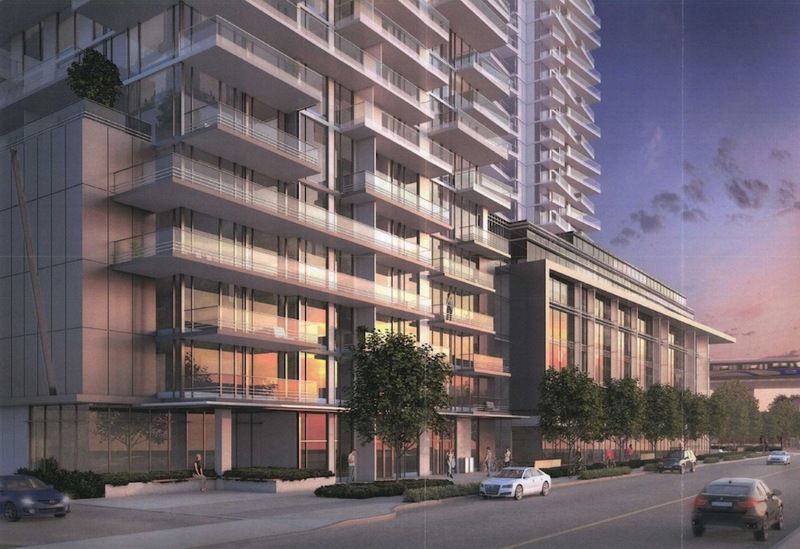 The market ownership unit mix is 321 one-bedroom units, 289 two-bedroom units, and 95 three-bedroom units, while the rental unit mix is 40 studio units, 66 one-bedroom units, 49 two-bedroom units, and 31 three-bedroom units. A large commercial component is incorporated into this project, with 72,000-sq-ft of space located within the lower levels. This includes 17,000-sq-ft of ground-floor retail, 46,520-sq-ft of office space, and a 8,450-sq-ft daycare with a capacity of between 80 and 100 children. Residents will have access to a generous amount of amenity spaces: a total of 67,000-sq-ft. of amenities are proposed, such as a bowling alley, lounges, yoga room, games room, fitness gym, and multipurpose rooms, and private outdoor spaces with a swimming pool, hot tub, covered cabanas, large lawn, kitchen and BBQ area, children’s playground, urban agriculture spaces, and a dog run. To support the project’s density and uses, 1,329 vehicle parking stalls within underground levels are proposed, including 832 stalls with a Level 2 EV charger — a minimum of one parking space equipped with an EV outlet. 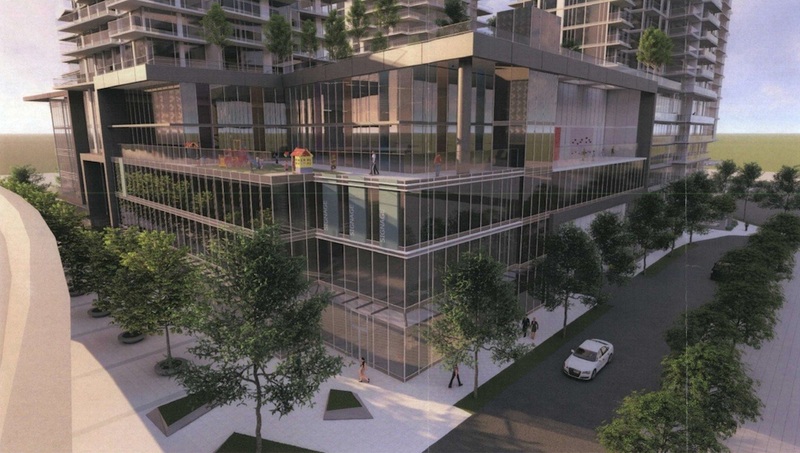 The developer has proposed a number of community benefits, such as a public art feature valued at $250,000, an on-site micro-district energy system, and 5,000-sq-ft of office space owned by the municipal government. 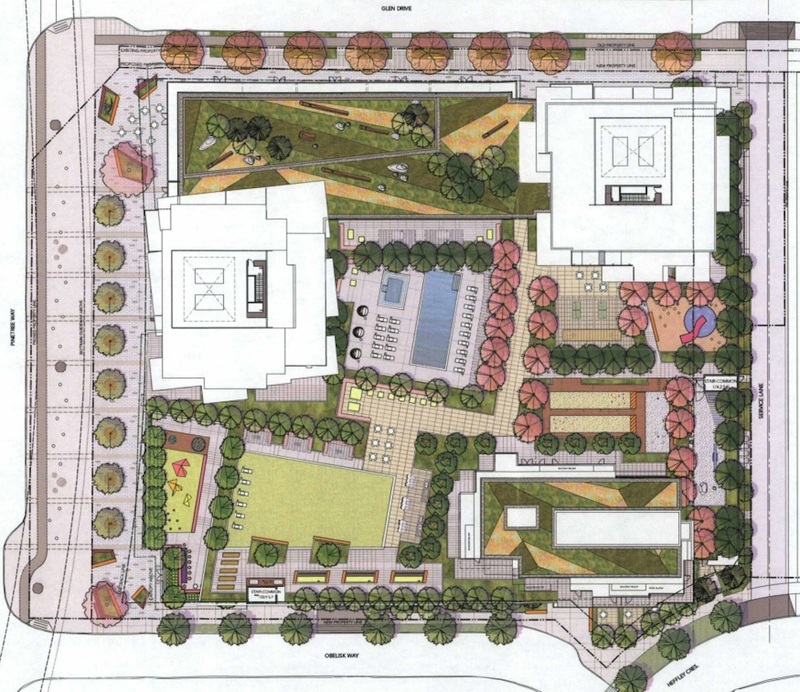 The scope of this project is also anticipated to generate $12 million in development cost charge funds, $31 million in density bonus funds, and $64,350 in voluntary community amenity contributions. Altogether, this project is striving for a total floor area of 863,760-sq-ft — giving it a floor area ratio density of 7.32 times the size of its lot — and a LEED Silver green building equivalency. 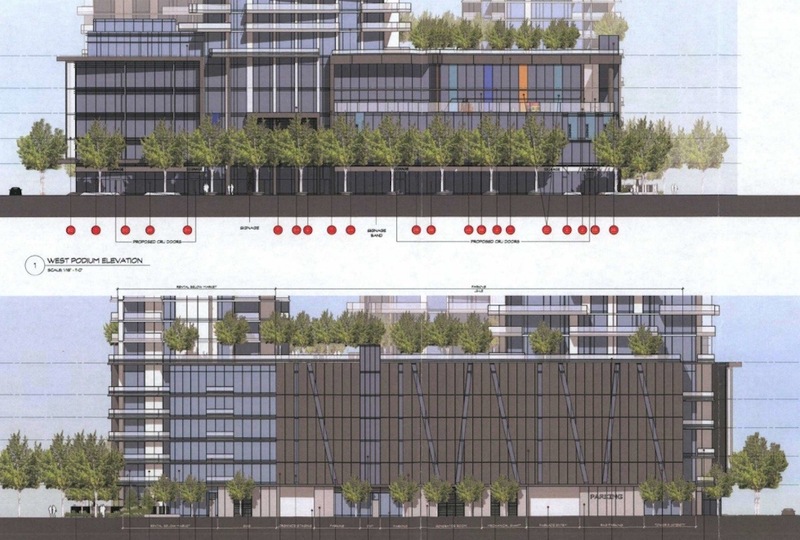 As for the adjacent 1.1-acre site at 3052 Glen Drive, Polygon Development is slated to transform that parcel into a 40-storey, 406-ft-tall mixed-use tower with 222 market ownership units and 52 rental units, plus 24,000-sq-ft of commercial space within the lower floors.